The National Library of Russia in Saint-Petersburg, founded in 1795, is one of the largest libraries not only in Russia but also in the world. Its Russian stocks comprise the world's most complete book collection in the Russian, Ukrainian and Belorussian languages. 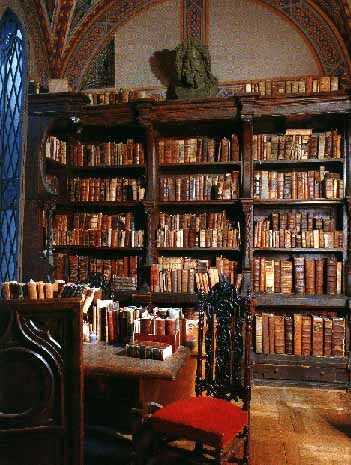 The library houses an important collection of Russian periodicals, a very extensive collection of foreign books, an exceptionally rich collection of incunabula and rare books; it owns varied collections of maps, prints, engravings, posters, playbills and other editions. The manuscript collection ranks among the major collections of this kind worldwide. Today the library stocks number over 32,000,000 items. The lofty status of St.-Petersburg's great library received official confirmation in President Yeltsins decree of 27 March 1992 "on the National Library of Russia". Apart from a substantial expansion of its rights and confirmation of its status as a national book repository, the library was also entrusted with representing Russia's interests in its own field at an international level.